60/30 triangle. Check for accuracy of 30, 60 & 90 degree angles. 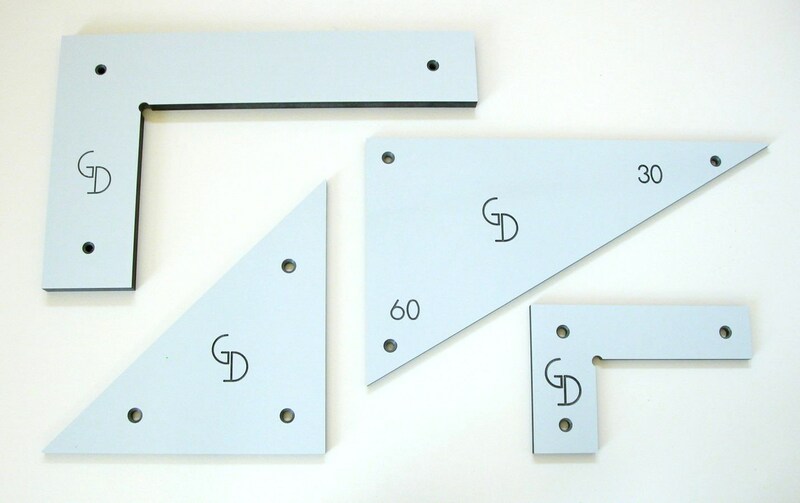 The 60/30 triangle is a useful tool in your box making kit. Use it to check for the accuracy of 30, 60 and 90 degree angles in your box making. The 60/30 triangle is machined from compact laminate using a five step process on a CNC router. It has a guaranteed accuracy of ±0.05mm. The small 90 square. Use it check for 90 degree angles before glueing your small box frame. a large 90 square. Use it to check for 90 degree angles on the outside corners of larger boxes. All Gifkins box making squares are specially designed by us to assist the box maker and small joinery enthusiast.